Are you excited to share your knowledge, experience and perspective with peers? 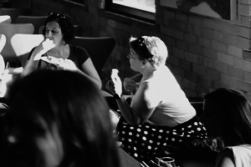 "At my first Lean In event I was thrilled by how welcome and supported I felt. It was a truly wonderful evening!" "Lean In Canada has provided me with the chance to learn from a diverse community of inspiring, supportive women." 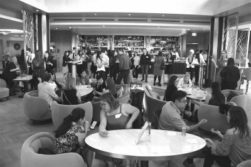 Lean In Canada:Vancouver – Roundtable Discussion: Making It Work! 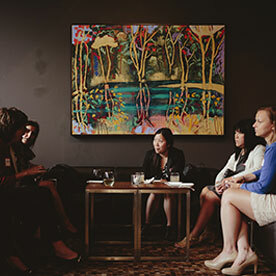 "Lean In Canada has provided me with an amazing opportunity to connect with individuals from diverse backgrounds and experiences in a great venue." 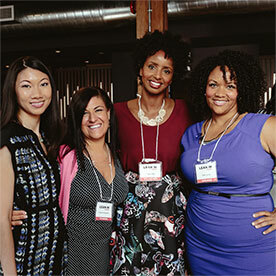 Join our organizing committee today - vancouver@leanincanada.com for volunteer opportunities. Florence is an eternally curious entrepreneur, who has gone from building the world's first peer-to-peer currency exchange platform, to hosting Canada's first VOGUE Fashion's Night Out in Vancouver, and now runs her marketing agency Catalyst Agents, which is focused on jump-starting growth for new brands and reinvigorating mature brands with innovative collaborations and cross cultural marketing expertise to penetrate new markets. She was the Board President for the non-profit 3H Craftworks, where she revamped the business model to bring the organization back into the black and it now has a vocational school training adults with disabilities. She has also been a co-chair and then chairperson for the Dress for Success IMPACT gala, raising over $250,000 with her team from their signature event over her 3-year tenure. Florence is looking forward to tackling the job of building the Lean In Vancouver Chapter from the ground up to empower women to pursue their dreams. Hi, how are you? When Joyce asks you this question, it is not just for pleasantries, she genuinely wants to know how you are doing. She believes in helping others succeed by taking the time to get to know their unique story. Her role as Partner at Sentry Partners Inc. allows her to practice this daily. When helping clients with contingency planning, she leverages her psychology and business training to provide creative and collaborative solutions. She looks forward to meeting each new member and will continuously strive to make a positive difference in the Lean In Vancouver community. Amy is a strategic thinker who brings a global perspective to her work and excels in working with different individuals and teams. Amy was born in South Africa, raised in Latin America and has been studying, working and living in Vancouver since 2007. Through Amy's journey around the world she has learned the importance and impact of community. In her current role, as a Residence Life Manager at the University of British Columbia, Amy builds effective teams who excel at creating memorable experiences and a sense of belonging for their clients. 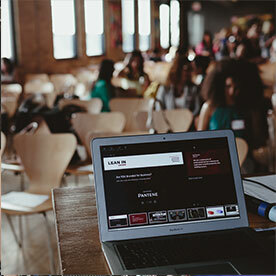 Amy looks forward to meeting you at upcoming events where you will have a chance to hear inspirational, aspirational and relatable stories from women in all industries and backgrounds while having the space to build your community through in-person connections with members and volunteers!